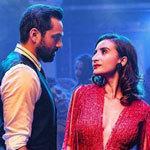 "Nanu Ki Jaanu" is a 2018 hindi film which has Abhay Deol, Patralekha and Manu Rishi in lead roles. We have one song lyrics and one video song of Nanu Ki Jaanu. Sachin Gupta has composed its music. Mika Singh and Fazil Puria have sung these songs while Sajid Qureshi and Sachin Gupta have penned its lyrics. Banner PVR Pictures Inbox Pictures Pvt. Ltd.